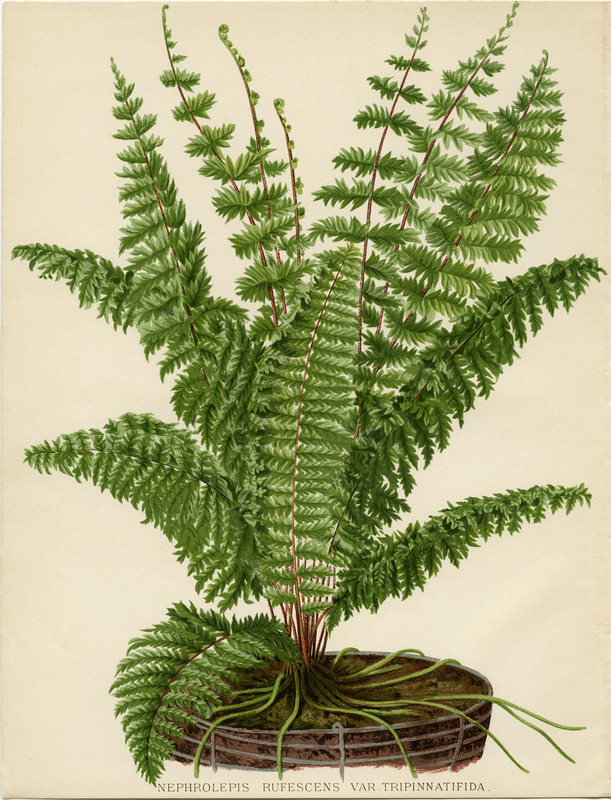 Here is a beautiful vintage illustration of a fern. The scientific name of the plant is: Nephrolepis Rufescens Var Tripinnatifida. I scanned the original image from the Illustrated Dictionary of Gardening – A Practical and Scientific Encyclopedia of Horticulture, edited by George Nicholson, circa 1885. 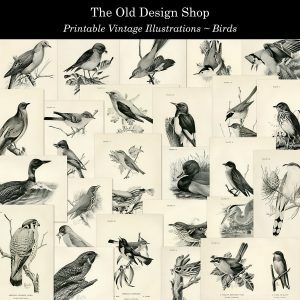 Printable vintage fashion catalog book pages Printable vintage bird illustrations Printable coffee dyed and inked sewing themed paper pack. 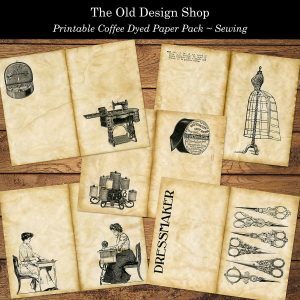 Thank you to Tim Holtz for vintage photo distress oxide. The preview images are linked to my Etsy shop. I am looking for two or three crafters to add to my design team. 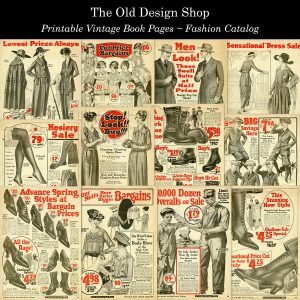 If you are interested, please send me an Etsy convo or e-mail me at: theolddesignshop@gmail.com.